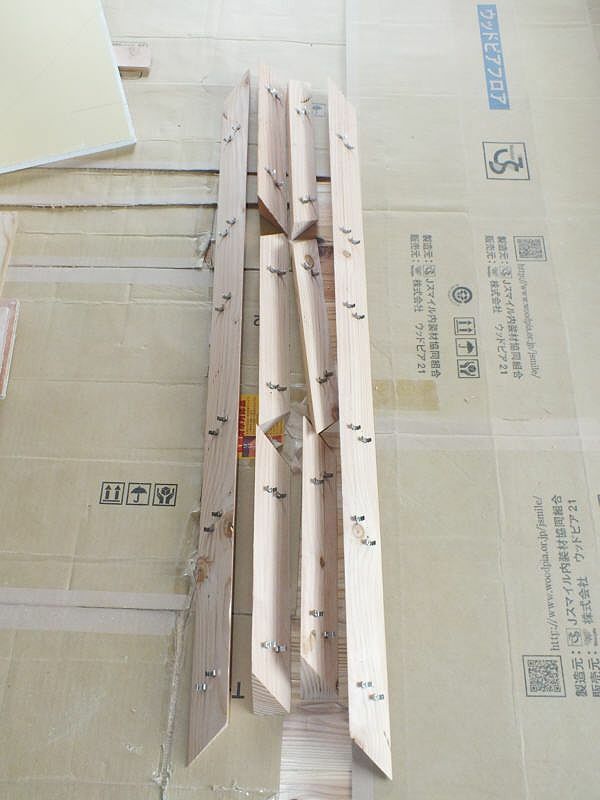 < ０１５　内外装工事、進行中　その３！　The construction is in progress eagerly! The 3! 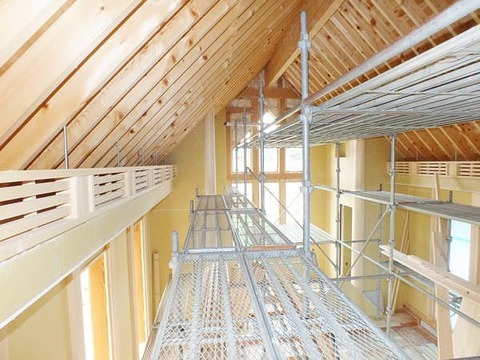 There is a lot of work of the high place, too, in the construction of the attic and the wall. 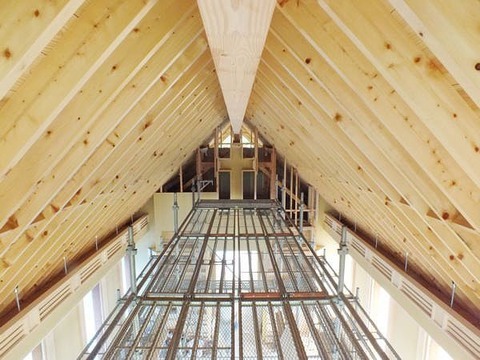 The ceiling height of the chapel is 5.7 M.
It establishes a scaffold to work. It makes a cross in the wall in the front. This cross is created in the LED light. It installs the metal fittings which fix LED light. I am taking charge about the manufacturing and the installation.